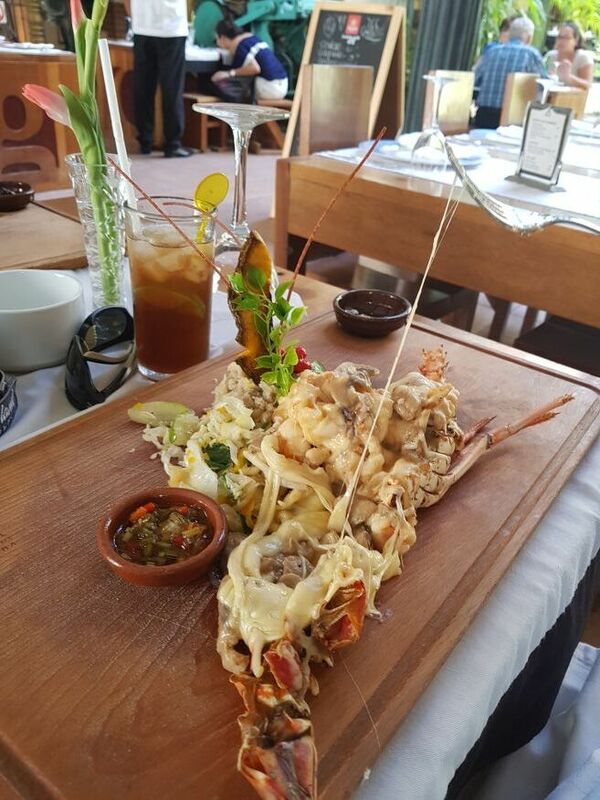 We tried a kebab at La Imprenta Restaurant and some friends had a delicious lobster! 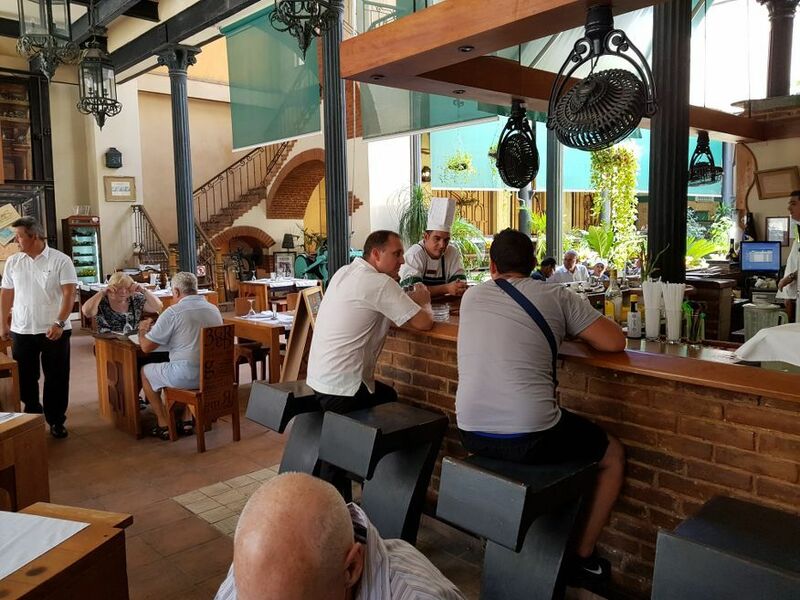 Located just off Plaza Vieja, La Imprenta Restaurant is easy to find and good value. We were looking for somewhere to eat for lunch, of course a place we hadnt been to before that doesnt cost a fortune. La Imprenta looked impressive with its big glass windows and very high ceiling. There was also a man playing very good music on a piano. The menu outside was in Spanish one side and English on the other, this helped an awful lot, due to our very poor Spanish. It was early so the restaurant wasnt too busy yet, you could see it could hold a number of people, I imagine at night the place would be packed. 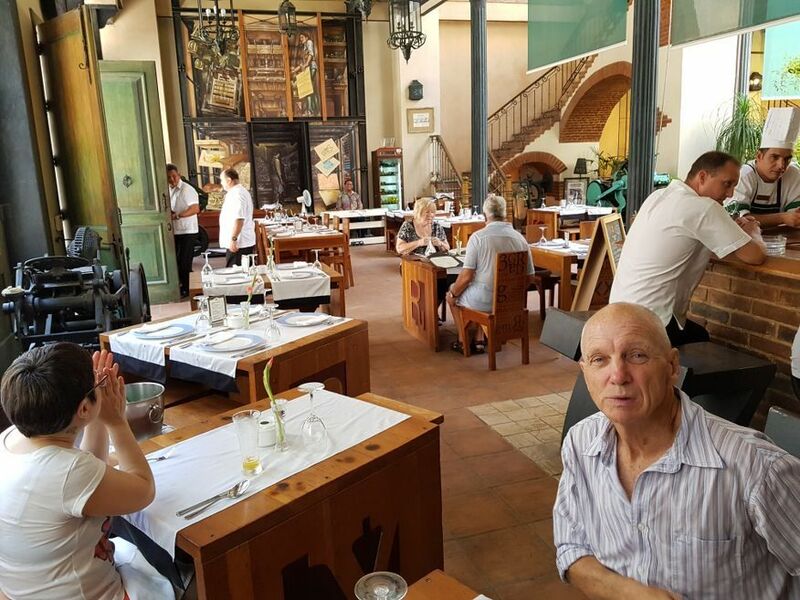 The building was restored on top of the ruins of what used to be La Habanera printing house back in the 19th century, hence the printing name and theme of the restaurant. Tables and chairs are made from wood which have been recreated with letters and numbers, referenced from printing type cases, its really well done. We werent that hungry so decided to share a kebab. To be honest I had in my mind the type of kebab from home with a big filling wrapped as a pita, but after ordering it, I realised it was the grilled meat on a stick type. No matter, when the plate came out there were 2 kebabs with a mix of chicken and pork, both nice and tender, great, one each! There was a type of mashed potato (very nice) plus some spaghetti, a very nice salsa type sauce on the side and a big chunk of grilled pineapple, all for only $8.00 CUC. Of course 2 cold beers were in order after our very hot walk. 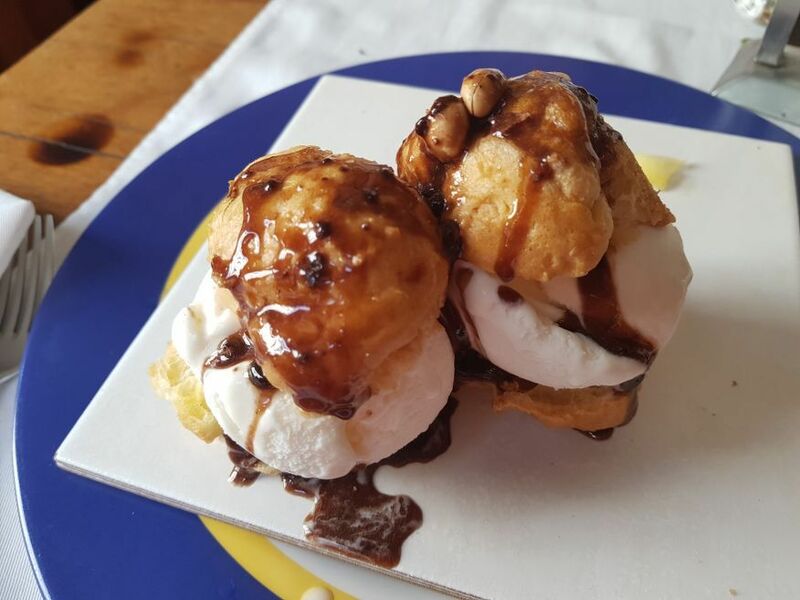 Garry couldnt refuse the profiteroles for dessert, there were a bit different than we are used to as they were filled with ice cream, not the normal cream. All up lunch came to $16.50, with no extra taxes charged here. 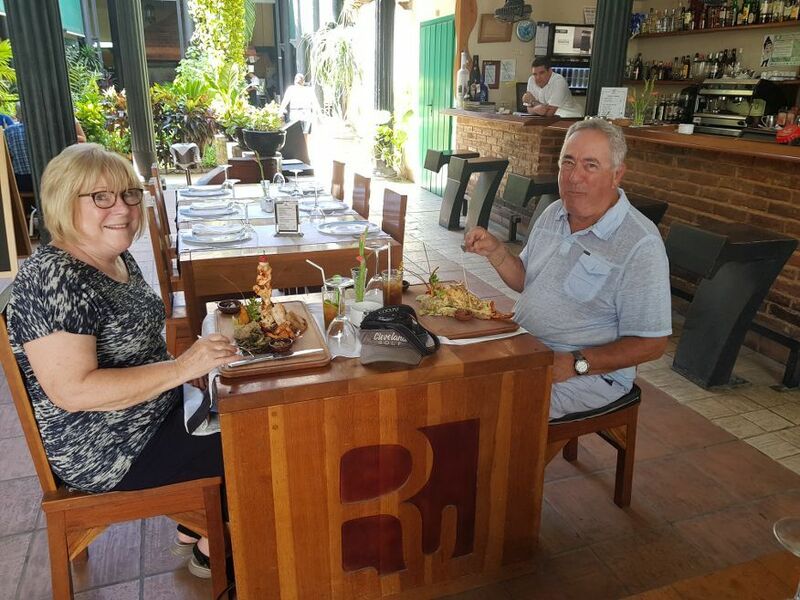 At another table was an american couple off the cruise ship, we asked them how they enjoyed their meal of lobster and seafood kebab. They loved it, was the reply. 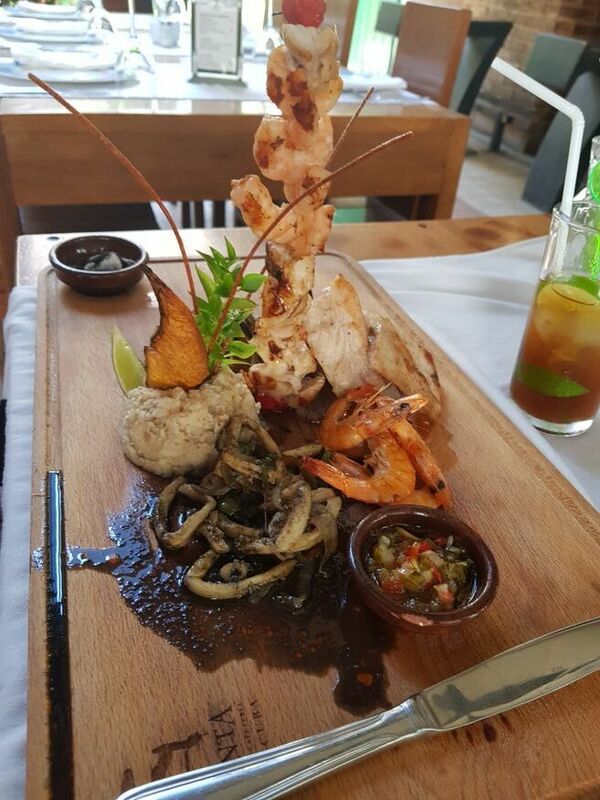 Excellent presentation and very good service at La Imprenta Restaurant. All our food was delicious and responsibly priced we thought. Yes, we’d go again.